This was a pretty awesome book week for me. I FINALLY found a copy of Passion, it only took me going to three different stores to find it. I can't wait to read it. Our library is still getting in new books, and I'm glad to be able to snag the ones I got! 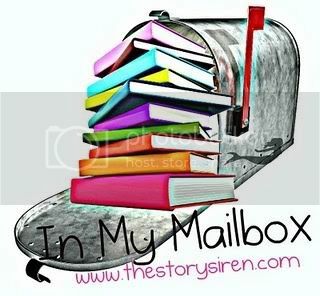 Soooo.... What did you get in your mailbox this week?? I'm dying to find out! Leave a comment with your link so I can check out your post! Your library has really awesome books! Since I'm out of school I can't use the library there anymore. Really awesome books and eee! you got Passion! I can't wait to get my copy of that and hope you'll enjoy it! Oh, I can't wait to hear what your son thinks of the Unwanteds! According to the McMann's forward, her daughter listed it as her favorite book. If it appeals to the MG audience, I can rec it to my students. Also--Yes! GalleyGrab is awesome. Nice set of books!! Happy Reading! Awesome books this week! 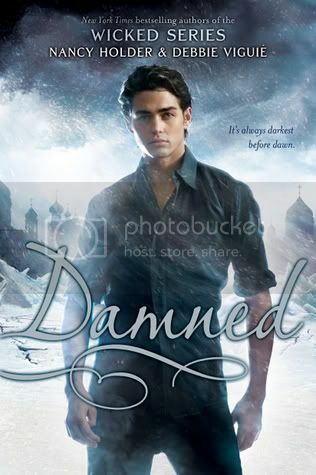 I really enjoyed Clarity and I have been wanting to read Entwined for quite a while! Enjoy your books! Awesome set! I got all but The Unwanteds from S&S too!!! My IMM and Zombie Craze started today!! Great IMM. I have all the simon and Schusters except Nocturne and Witchlanders, they look good!! Great IMM! I got some similar titles, LOVE S&S GalleyGrab! I too am so uber excited for Unwanteds! You have a great haul this week! I want Fury! I want Witchlanders. I really, really want Clarity and Entwined! I can't wait to read Entwined and Clarity and to read your reviews on them ! Great set of books!!! I'm trying not to go crazy on galleygrab, lol, but those are all one I want to read. Looking forward to your reviews (especially for Entwined... I'm still thinking about ordering a copy). Awesome IMM! I want all of these! hehe. I actually have a copy of Passion in the mail right now but besides that, they are all on my list hehe. Great IMM! I've heard great things about every book listed. I'm still on the fence about reading Torment, but everybody is so exciting for Passion, I'm thinking of finally getting it. Thank you thank you for highlighting that Witchlanders is on GG as I totally missed it and was really looking forward to this one. 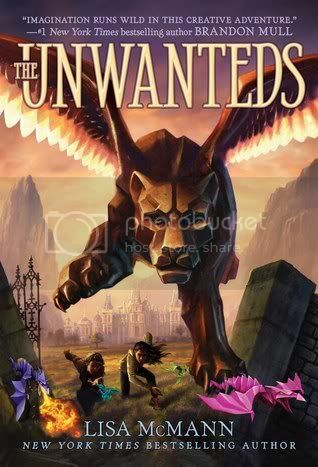 The Unwanteds looks great too. Entwined was such a sweet book and I need to read Clarity, too. Great stash this week! Yay great books! :D I hope you enjoy them! All those books look so awesome! I'm so jealous! 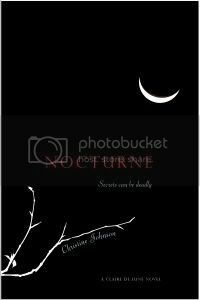 I read Clare De Lune and it was pretty good! 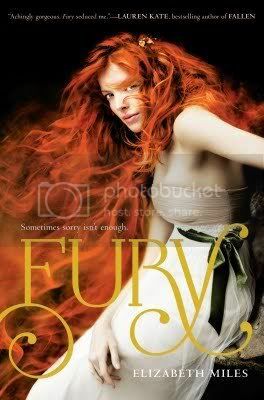 A lot of people got Fury this week, so I'm going to have to check it out! Stop by My IMM if you get the chance! Happy reading! Hi, Christy! Thanks for the visit this morning. Can I just say that your library is awesome. I would die of shock if mine got books like that in stock! I can't wait to find out what you think of Fury. I can not wait to read that one. You got a really nice haul this week! Great set! 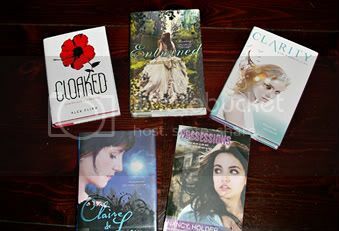 I really want to read Cloaked and Entwined. Great mailbox! I got Clarity this week too! Your library books are so awesome, I'm especially excited to read Cloaked and Entwined. Entwined is sooo good! I hope you enjoy it. Clarity and Cloaked looks great, hope you enjoy them! And loving the sound of Fury and Witchlanders - plus the cover of Nocturne is really cool. Happy reading! Awesome books this week! "Squeee" most definitely!!!! I bought Passion too!!! 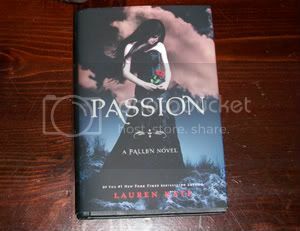 Love that series, although Torment wasn't as good as Fallen...but I can't wait to read Passion!!! Hope you love it!!! Great books! I also bought Passion and got Fury and The Unwanteds from galleygrab! Hope you enjoy all of your new books! 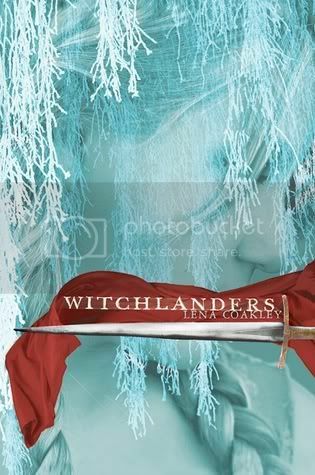 Witchlanders is on Galley Grab...I didn't even notice! Yay for Clarity..I really liked it! You had a awesome week! I have Entwined and I really need to read it! Enjoy all your new reads! I haven't seen that cover for Possessions before!!! I had to click on the link to see what books you're talking about! Talk about 2 completely different covers... Great books! Great books! I loved Clarity. I got the same review books too - really looking forward to reading Witchlanders. I almost got cloaked at the library last week! overall, you got a couple of intriguing books.